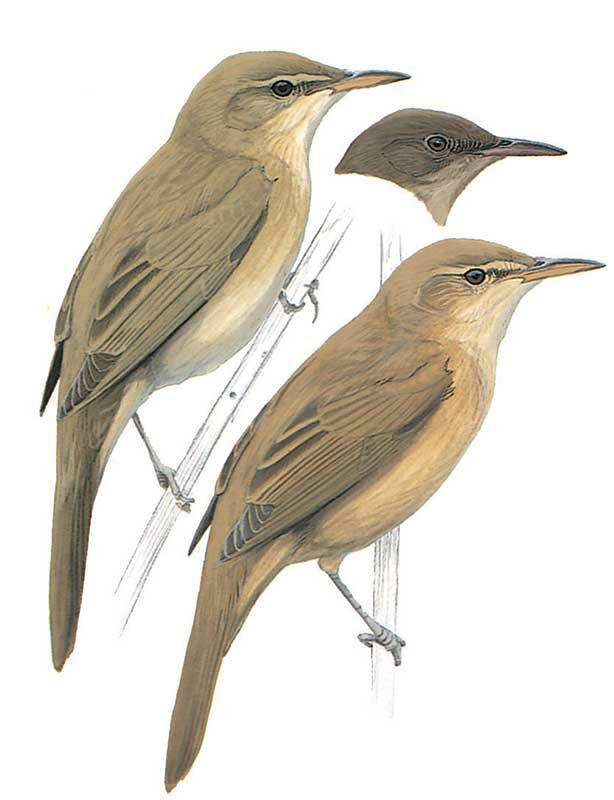 Similar to Great Reed Warbler, but slightly smaller and slimmer with longer bill. A long more rounded tail, short wings with only 4 - 5 primary tips showing beyond tertials. Colder grey-brown plumage than Great Reed with less pronounced supercilium. Legs steely grey or or slate brown. Pale brown in Great Reed. Song is important in identification.